Pain medications! Icy Hot! After-care instructions galore! 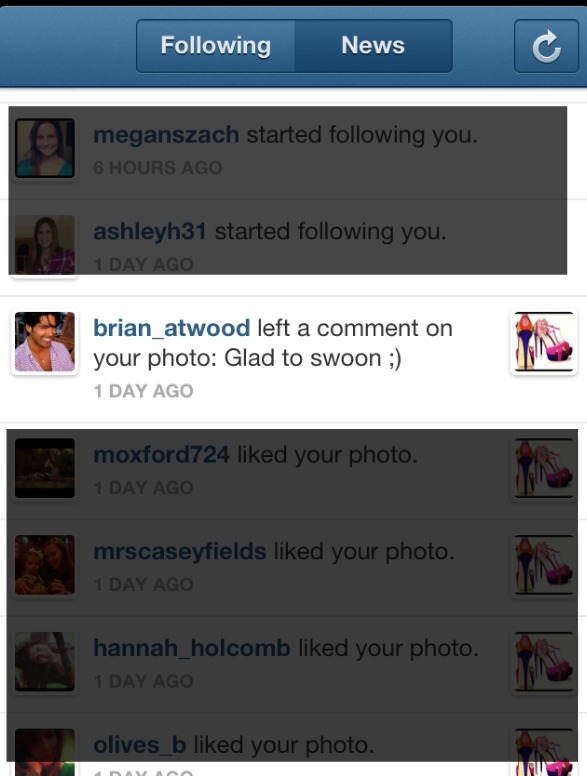 Saturday morning, two days later, I checked my Instagram and saw that Mr. Atwood himself had replied. I had to have my mom double-check for me, just to ensure I wasn't hallucinating from the meds. How crazy, right? Just bananas, bunnies. I'm off to...well, nowhere. My derriere is staying on this couch until tomorrow when I can return to work. See y'all tomorrow for an outfit post featuring a delicious little faux-leather skirt from Maude Boutique. You'll want to have your debit card nearby so you can purchase one for yourself. 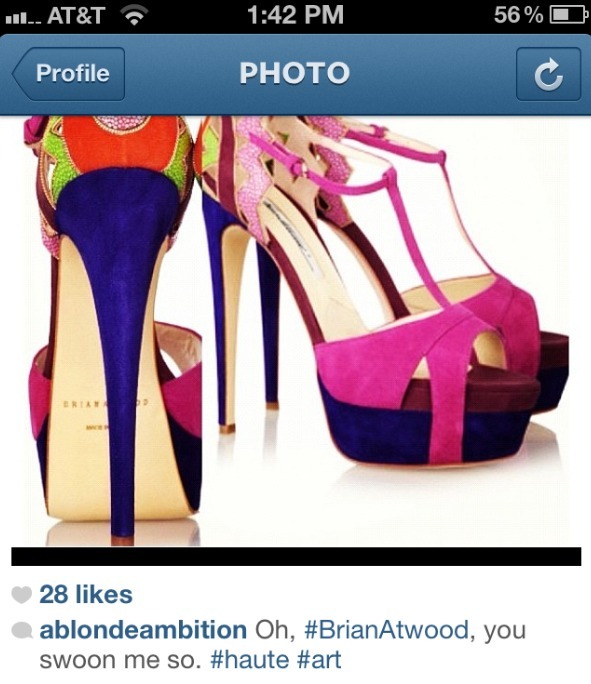 Isn't it so fun when celebs reply!? I tweeted Holly Madison when I went to Peep Show and she replied! I almost had a heart attack!! Get better soon! That is awesome!!! Hope you get well soon! I hope you feel better soon! That's awesome, and I love your new blog format! LOVE the new blog look. Clean and sophisticated! Glad your surgery went well and that you're healing. Glad your surgery went well and I hope you have a super speedy recovery. Loving the new design also! What Did you have surgery on Leslie? Hope you are ok! Glad the surgery went well. I would have flipped too. Reminds me of when Paula Dean tweeted me. I lost it i was so excited. OMG -- so jealous! 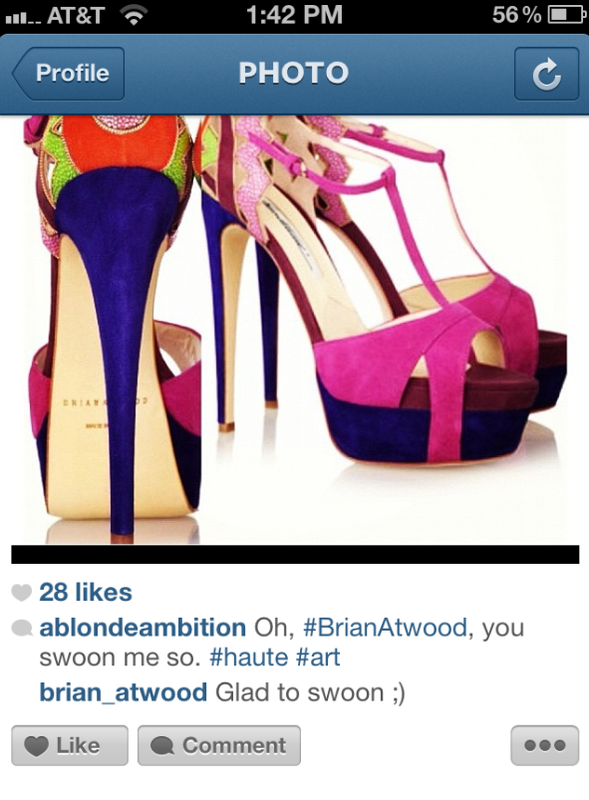 Love Brian's shoes. The reference about your doctor looking like Vickie's ex from the Real Housewives literally made me choke on my lunch. Dying laughing. Anyway, I just discovered your blog and you are just great. Keep it up.